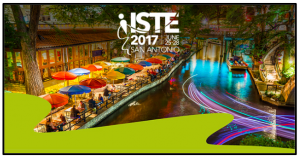 I am here in San Antonio, Texas for one of the biggest educational technology conferences of the year: ISTE 2017. There are over 18,000 people in attendance. Unbelievable! 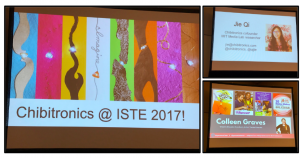 My first pre-conference workshop today is STEAM-Based Learning and Self-Expression with Chibitronics, also known as paper circuits. This workshop was geared at expressive engineering, thinking about engineering but from more of an expressive, artistic, creative mindset . One of our presenters was Jie Qi, a member of the MIT Media Lab’s Lifelong Kindergarten Group. 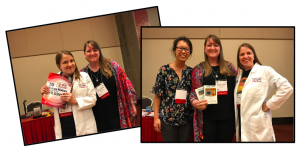 She did her Masters work under Leah Buechley of the High-Low Tech group at the Media Lab, and she is doing her thesis under Mitch Resnick, one of the inventors of the Scratch programming language. Check out her amazing work here. My favorite example of her interactive artwork is her dandelion painting. We started with copper tape, LED circuit stickers, and a battery to make a parallel circuit. I have done this activity a few times before, once at the MIT media Lab and once during a MEMSET event. However, this was the first time I had ever used Velostat to make a pressure sensor. The harder you press, the brighter the LED glows. 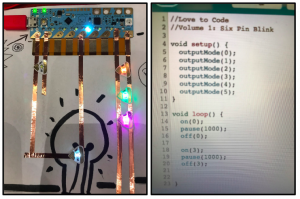 We moved on to incorporate the new Chibitronics love to code kit to write code on the computer to use with the chibi chip (a programmable microboard chip) along with the paper circuits using copper tape and LED stickers. 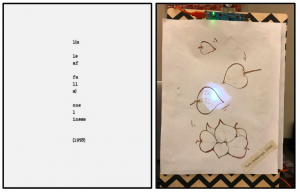 We started with a basic parallel circuit and moved on to add the chibi scope, a tiny LCD screen where you can display text from your code. 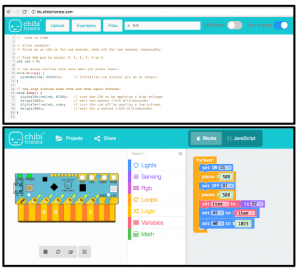 I want to keep exploring this tool on my own for fun, for lifelong learning, and as a creative outlet. I want to move beyond this introduction to create innovative and interactive pieces of artwork. I want to bring this to the Park faculty as an after school optional PD workshop. 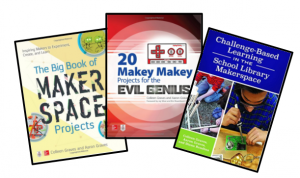 I want to collaborate with faculty at Park to bring these tools to recess clubs.